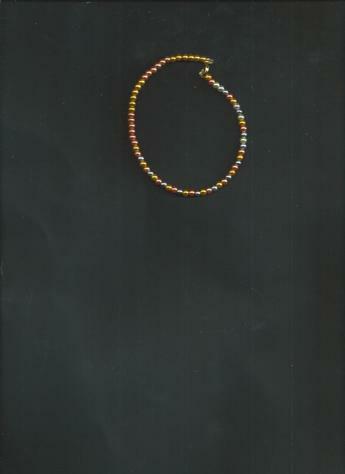 Orange, Yellow, Blue, White (faux) Pearl-Beaded Bracelet. This Burnt Orange & Autumn Yellow & Light Blue & White (faux) Pearl Beaded clasp bracelet is lightweight & comfortably stylish! Brass-plated wire with gold-plated clasp. CAN ALSO BE WORN AS AN ANKLET!